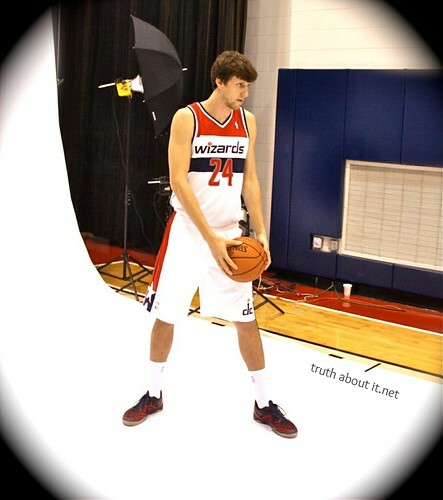 Wizards Media Day 2013 wasn’t my first rodeo, it was my fifth. So with that grand introduction, amidst previously unplanned coverage intentions, let’s check some sights and words in pixel form from this year’s frenzied access to well-paid athletes whom we all hope perform well and stuff. 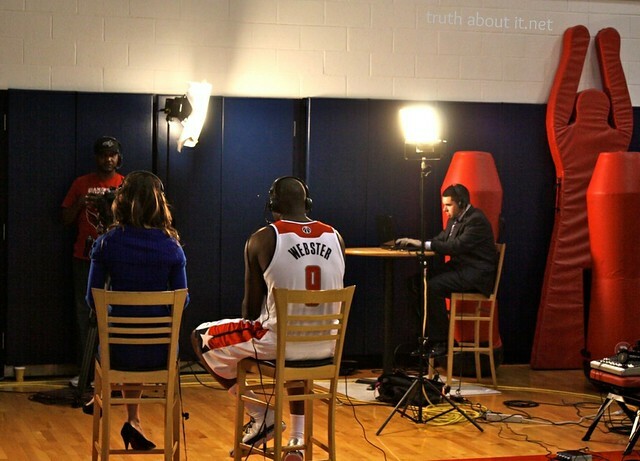 Martell Webster sits in on the pixel production. 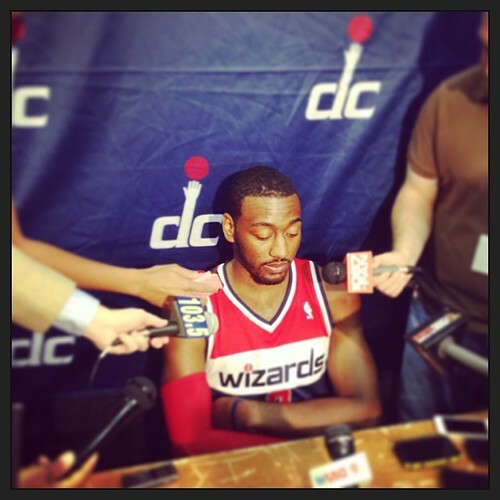 —John Wall on what would happen if the Wizards made it through the season relatively healthy but still missed out on the playoffs. 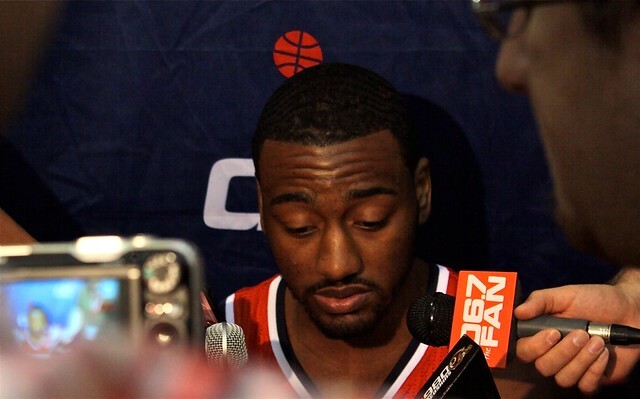 Wall said that between his trip to China, spending time with family, and other activities during a busy summer, he was unable to workout with Hall of Famer Gary Payton, which was once reported might happen. 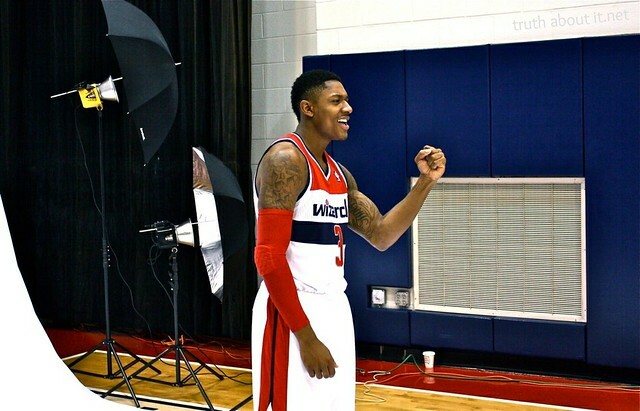 —Bradley Beal on what summer film study on his game revealed. 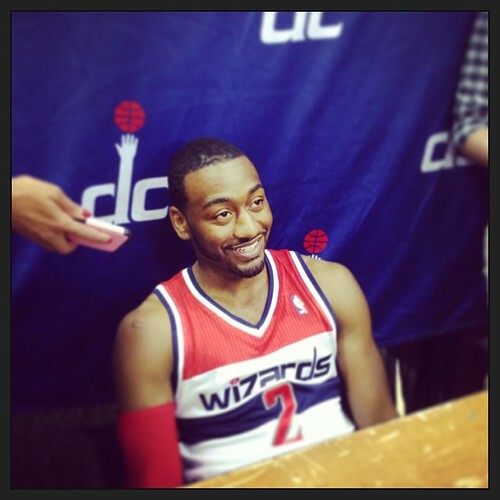 Beal knows he can’t just be a scorer on this Wizards team. Or, as he said about Wall, “He can’t do all the creating.” So let’s see if he was able to work on those handles while he had to sit out a good portion of the summer recovering from injury. —Emeka Okafor on building camaraderie, also saying that most team-bonding comes on the road in the NBA . 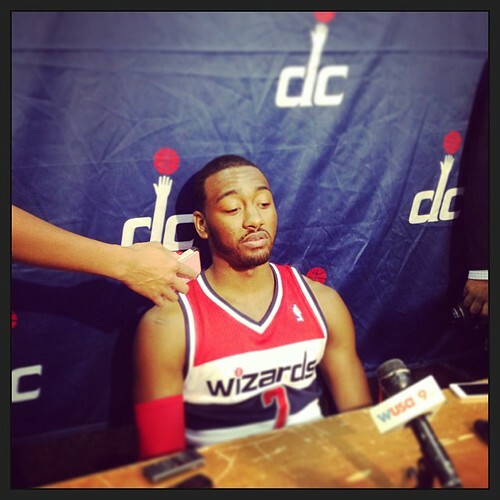 The Wizards were a dreadful 7-34 on the road last season, the season before, 9-24, and the season before that, 3-38 (so, 19-96 over the past three seasons). 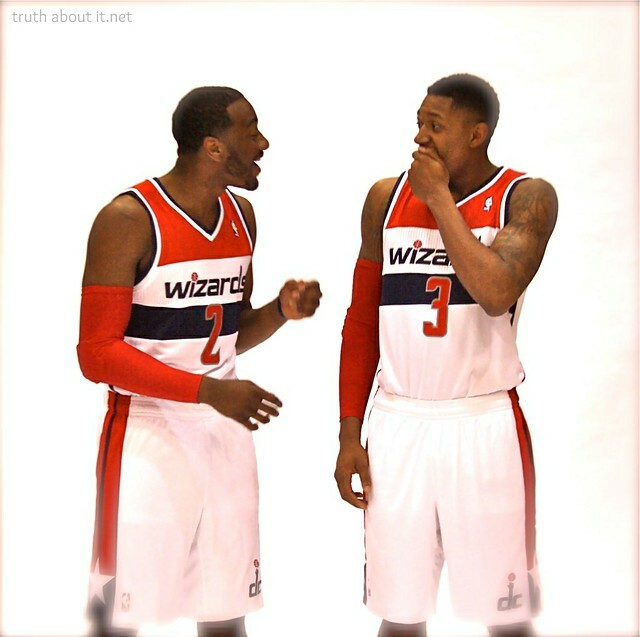 —Bradley Beal on John Wall’s new house. 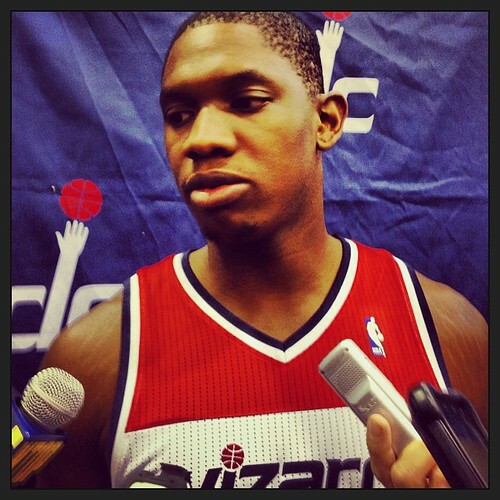 In video game news, Beal says he can’t play Madden with his hometown St. Louis Rams; he chooses the Denver Broncos or the Houston Texans instead. 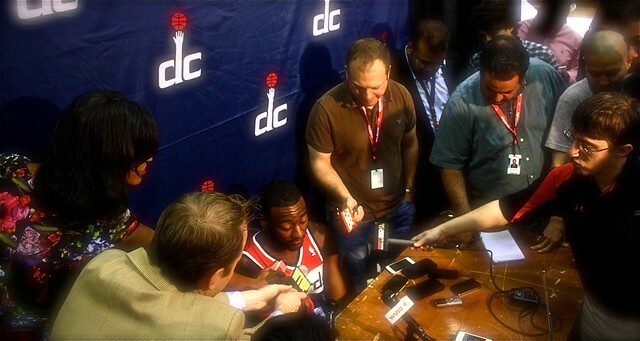 “I have everything I need, so I really don’t leave, and it keeps me out of trouble,” claimed John Wall about his new, humble abode. Noted for the next time clerb photo jettison through the series of tubes. 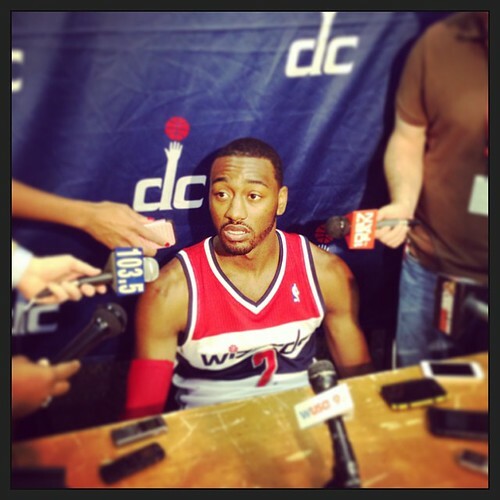 –John Wall on his NBA All-Star hopes. He was speaking about Jrue Holiday (now a New Orleans Pelican but on the Philadelphia 76ers when he made All-Star), and Kyrie Irving of the Cleveland Cavaliers. To note, Holiday and Irving were voted on the team by a panel of all NBA coaches. 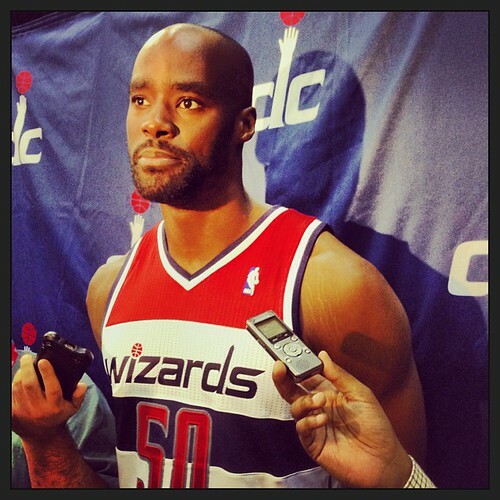 —Martell Webster teased teammate Chris Singleton on media day. 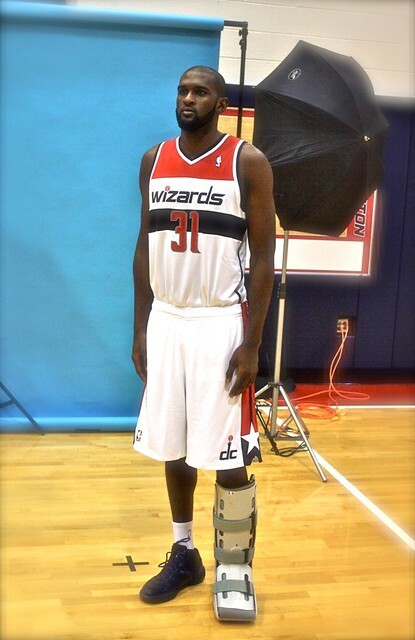 Singleton is now without the boot and shooting stand-still jumpers (via the Post’s Michael Lee). Assuming he remains a Wizard, an opportunity for Singleton will arise at some point. It’s inevitable … with this team. He was declared out for six-to-eight weeks on September 18 after having surgery to correct a Jones fracture to his left foot (so the foot that right handers usually jump off). This would put Singleton’s estimated return from as early as October 30 to around November 13. Surely he wanted to be playing in training camp and preseason after a summer of work, but one wonders if there’s relief to be found in not being thrown into the fire of competition right away. In the ideal, this is the furthest from Singleton’s mind. 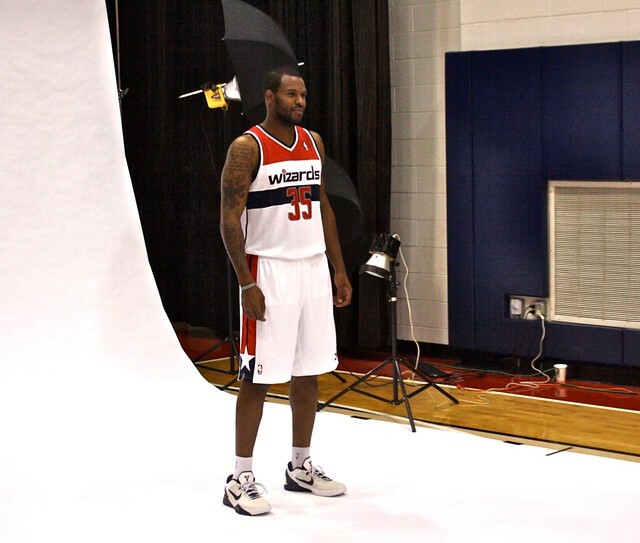 —Wizards team photographer to a mean-mugging Trevor Booker. That got the Cook Book to crack a meager grin. Booker, once again experiencing injury issues as he has for most of his career, has yet to see much action in training camp and the preseason. 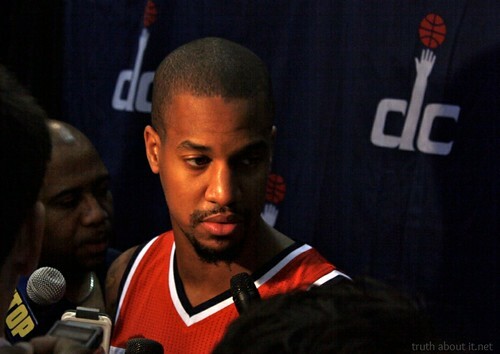 The new most important backup, Eric Maynor. After the first preseason game, the returns ain’t so great. Let’s give him another chance. 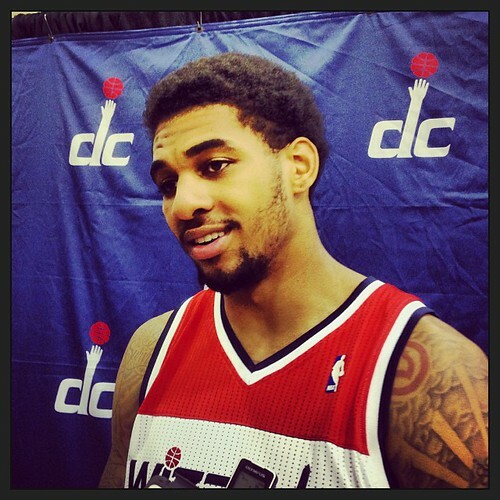 —Glen Rice, Jr. talks about one of the tough parts about transitioning to the NBA, defensive positioning.